The Internet is profoundly involved in our lives, and today digital life is the way to move forward and leap into the future. When a person thinks about launching a website for their company or organization. Most of them would hire a Digital Branding consultant, provided that the corporation invests or have enough funds to get it done from professionals. However, most of the businesses are young, startups, lean businesses which have small or medium budgets. These business owners are unable to invest the same amount of time and money on getting consultations from experts. This article is written to help out lean entrepreneurs, small businesses, startups, medium enterprises and companies that would like to get some overview of building a successful online presence. We will discuss the most important aspects of each and every step and define clear key takeaways. So, let us get started. The first step to building a digital setup for your online or offline business is to register a domain name. Domain name is a unique identity on the internet to start your online branding and open up new communication opportunities. As a typical or non-technical person, buying a domain name in a sense, registering a domain name with you or your company acting as a registrant. Remember, domains are always registered and not brought, or purchased forever. Domains are rented or leased, and you will be the authorized registrant as long as you have paid for the term or renewed it. User: If I register or buy a domain. I will pay only once or one-time fee. No, domains are not registered forever. You can register a domain name for a maximum of 10 yrs. After that, you have to renew it, if you would like to keep it active. The domain registration maximum duration depends on one registration company to other. If you are looking for a domain registrar, to purchase your domain name, read about namesilo. 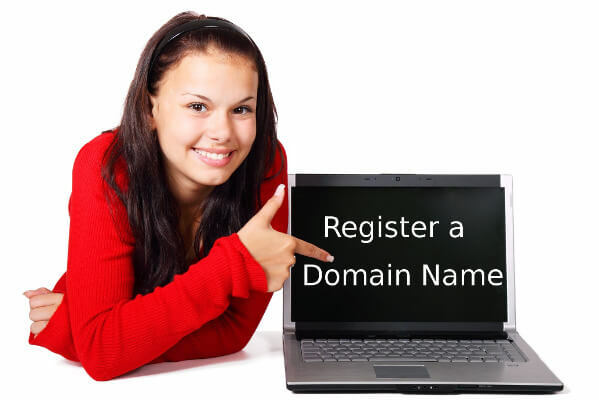 Namesilo offers cheap and best domain registration services. User: If I buy a domain name with Godaddy, I must host with them. Or If buy domain from XYZ company, I have to host my website with the same company. No, it is not mandatory to host your website with same company where you registered your domain name. Domain registrar has nothing to do with hosting. You can register a domain name with Godaddy and host with rankmyhub web hosting. You can register with Namecheap and host on Amazon Web Services or Google Cloud. Domain Registrar just an authorized firm to register a domain for you, nothing else. So, choose your hosting based on your website and business needs. If Godaddy is good at domains, it does not mean they can do the same kind of quality work with web hosting. Web Hosting involves maintaining a server, software, and hardware infrastructure. Whereas domain registration means leasing licenses for customers. User: If I register a domain name, I just have to renew it. Nothing else needs to pay. Unless you want to use the domain name you registered to sell to someone else for some higher value. In all other cases, you need a web server to host your website and email server, if you need or want to use business emails. a) Your web hosting comes with unlimited email accounts and it also allows you to host the website files to make it available on the internet. b) Your web hosting only makes your website live and you have to use third party email service providers like Gsuite, Office 365 or Zoho Emails. Case (a) is more suitable for companies on the budget. As long as the server is up and running without any issues, most firms can use the same server for emails without any issues. User: To build a website, a domain name is sufficient. Maybe, but not valid on all cases. You can build a website using the domain name, by attaching with a SaaS or web builder or free web hosting services. It is not recommended to depend on such services if you are a serious business. Invest some money in building your website, server, and domain and it will help you grow online. User: I will register a free domain, and use a free host and get started. Of course, you can do so. But, if you build a business using free stuff, sometimes it may cost you losses due to poor quality services. Although domains registered for free may work, hosting that is given away for free forever is often abused by users. Your site may be prone to viruses, malware attacks, and downtime, which is not healthy for you as a business. To make it easy for everyone and affordable, we are offering the web hosting as low as $2.63 USD or Rs 171.00 INR per month. Which is the lowest possible price, and a domain .com for 1-year costs you around $8 or Rs 600 INR, if you register from namesilo. Total investment per year is $ 35.32 USD or Rs 2376 INR. This price is less than a meal at a popular or small local hotel in India. If it is elsewhere in the developed country, it is merely cost of a breakfast or snack. So, avoid free hosting and free domain names and register your domain from Namesilo and buy web hosting from us. To help small businesses and startups we are offering 30 days trial period on our web hosting. It means first 30 days hosting is on us, we pay for you. You will pay only after 30 days and as per your billing choice. You can pay monthly or yearly and enjoy unlimited email account and essential tools all bundled in your web server. Always, register your domain name for the long duration. It not only saves your money but also improves domains trust score. Always, remember to document your login details, your registration date, renewal date and other important information. We often, find clients forgetting simple details and losing domains due to ignorance. Always remember to renew before the renewal date, and if possible register variations of your domain name to avoid branding theft. For example, if your business is apple.com you should also reserve the variations like apple.net, apples.com, apples.net and geo TLD ( like apple.in etc.,). If your business is spanning multiple countries and before even doing a press release register the domain name with country level TLD ex: apple.co.in etc., If you register these domain names prior before domain flippers know about brand value, you will save $$$$$. Follow our ultimate domain name guide, to understand and learn how to choose a perfect domain name for your business. The second step is to link your domain with a web server. Web server is known as web hosting on the internet. Web server is an online server (computer) that holds your websites, emails, databases and files and has the ability to make your website live and emails to work. Web servers are rented by web hosting providers or web hosting companies. In simple way to make you understand, you are leasing the storage space, internet bandwidth, hardware resources and software needed to run your website, emails and other applications from a remote computer. Web hosting companies are providers, that lease the servers for end users or customer for the lower price. The price is distributed among a large number of customers and hence you are availing the cost of hosting the website for cheap. We recommend you to read our web hosting overview article to understand the different types of hosting packages. Also, read another article on how to choose best WordPress web hosting services. Web hosting is a recurring investment, so be ready to pay yearly or monthly as per your budget and preference. Always, document your login details, keep reminders about your renewal dates and renting date. Consult your developer or web development company and follow their suggestion in picking up a hosting provider and plan. Unless, you understand IT and your business website requirements, do not purchase hosting services on your own. You can contact a company like us, as we are a one stop shop. We can provide consultation services, whether you buy our web hosting or prefer to buy from somewhere else. Never purchase unlimited web hosting, there is no such thing as unlimited storage & unlimited bandwidth. If you purchase unlimited hosting, it is either oversold or either cheap quality hardware and service which does not work for your business. Choose Windows server, if and only if your website or web application needs Microsoft web server. Cloud have no definite definition, most providers out there are misleading customers in the name or buzzword Cloud, beware about what you are purchasing.If you consult a knowledgeable people like our experts, we can guide you better. Ensure that you have regular backups, disaster can strike up anytime. Make your own backup arrangements, even though your host offers backup services. Do not choose cloud VPS, just because it is low cost. If you do not understand or have knowledge to manage the server, you will end up wasting time and money. If you are confused about choosing web server for your business needs or if you have questions? Contact us. Let us discuss your web server requirements. Depending on the web hosting package, you may get email service inclusive or not part of it. For corporate customers, we highly recommend using Gsuite or Zoho Email or Office 365. As external email services are more reliable and will keep working, even though, if your website or web server goes down due to some reasons. Although, its not mandatory to opt for hosted email services, if you can afford and have the budget for such service, signup for them. I can say that choosing website framework and web server should be done at same time. So this step three should be done along with above step. Your website framework, programming language, database system defines the resources needed on a server (including software and hardware). Website framework also decides, what is the web server you need to pickup. Suppose, your requirements are going to be developed on asp.net then it is clear that you need to use windows based web hosting. If you are thinking about developing your website using PHP, MySQL and HTML any Linux server based hosting is perfect for you. If you do not understand or know, which framework will suit your needs, we have prepared an overview of various web development frameworks and scripts. Consult a developer or web development company or service provider to discuss your business needs. You can choose simple content management system like WordPress or you can get custom development based on your needs. If you are on a budget, WordPress suits you better and easy to learn and manage yourself and your team once, the main site is developed. Usually, you can get the existing company logo, if already designed to adapt for your website. You will need to send your existing logo to your web development and design company, and they will get it sorted out for a site. If you need a new logo for the website and business, you can get it done by the same web design company, as most web designers also do graphic works ( logos and website banners etc.,). The pricing will depend on your needs and location of the company with whom you decide to deal with. A good looking logo will make your business identity rememberable to potential customers and visitors. It acts like a visual point to distinguish you from rest of the companies. Allotting a good budget and choosing a right color scheme for the logo will definitely make your website and online presence stand out from the crowd. If you have the time and some basic HTML, CSS and PHP language experience, you can become your own website developer and designer. Nowadays, building website becomes easy for most of the business owners provided that they are quick learners and show interest in build stuff on their own. WordPress is most easy CMS which could be used to build websites of all sizes and capacity. You can build a simple website or corporate portal or e-commerce web store with online payments systems integration with ease. WordPress have lot of paid and free themes, extensions or plugins to make it powerful and scalable web building script. Watch this video to learn how to install WordPress on your web server. There are many open source and free content management systems, blogging, publishing and website building software which could be used to build your own website. All you need is some time to put your efforts into it and some creativity. If you are on a very small budget and just starting up. You can launch you basic website in an hour and make it perfect within a day. We build a website live, for showing up how to use visual web building software that is shipped free with CPanel as an addon. Check this video and watch the tutorial. You can also use open source web builders scripts like concrete5, which can be hosted on your own web server you brought in previous steps and build a website using it. The advantage of using it over cpanel based software is, if you plan to move to other provider or host, you do not have to worry about losing any work. You will just migrate concrete5 installation to a new server and done. If you do not want to develop site on your own, or if you prefer to be done by an expert of a company. You can contact us, we offer various web development services for businesses and companies, you can talk to our experts and let us understand what are you looking for. We shall ensure to provide the best quote and quality web development services for you. Discuss with your project manager regularly, avoid speculations and be clear about what are you looking for. Provide reference website links, which will help your project manager or developer to understand your idea. It will also help estimate the required timeframe for development, pricing and other technical challenges involved in the turning the idea into a real world website or web application. Choose a company, that uses online project management for communicating with you and keeping you updated on progress of a project. Sometimes, call, text, email may not work. In such cases, visual guidance will work and help the development team understand your idea. As a customer, you have to take responsibility to help everyone’s ideas are aligning. Perfection is continuous efforts and refinements. Do not focus on a minute or often ignored details by your website visitor. After getting your website designed and made live, based on users feedback, you may focus on refinements. Do not push developers and designers or force them or micromanage everything.As a buyer, you may think, it’s your right to choose how you want a certain thing, but you ignore the fact that you are working with professional who works day and nights on a website and live on it. Listen to designers and developers, when they suggest you something, do not argue. Excellence could be achieved with mutual understanding and cooperation and sometimes compromising on some minute details. If you pay $100 for the whole website and expect it to be world class be ready to be disappointed. Quality work comes out if you pay enough and give a room for creativity. Do not expect quality work and lowest price at a single shot. It’s dangerous in every service, not only website development. Understand the practical and technical challenges involved in each project stage. Give enough time for your development team to work on your features and suggestions. Pushing up developers constantly makes no sense. If you are provided an estimated timeline, please wait for the status. A Good company does not boast too many features or tell you too many things. Look for practical companies, which keep things simple, yet deliver the expected output as agreed. The sixth step, it is more important, before you advertise or do a press release or send the update on social media and other streams. Test your website thoroughly, your development company should do their own testing before making it live. If they are quality service providers, they will mention about testing phase in project scope of work. As a customer, you should do manual testing for your own understanding and see that everything is working as expected or not. Depending on the complexity of the website, the testing phase may be completed in few days to few months. Testing the website before launch makes your brand gain loyalty and makes the initial users or visitors happy. You should also, install Analytics and Other tracking scripts to monitor, log and improve the user experience for building a better-revised copy for your future website releases. We can do manual user testing for your existing website, if you are looking for a quote, let us discuss first. Contact us for more information. All the website development projects done by Rank My Hub includes testing and Quality control. This is the reason why Rank My Hub team is known for customer satisfaction and quality output. The seventh step is to upload the website to a web server. Usually, if websites are built by developers, they will take care of uploading it to your hosting. If you are building site on your own, and if you used a local system as the server. You will need to upload, it to a web server. Depending on the type of website, it may involve uploading HTML, Images, CSS, JS, other files and databases. For uploading files, you need to use FTP (file transfer protocol) to connect to your public_html folder or htdocs or www folder. You can also upload it using a filemanager software on your web hosting control panel. If you are usingCPanel based web hosting, you can watch the videos on Rank My Hub Youtube Channel. We have made a lot of screencasts to help our customers understand how to use different tools like file manager, phpmyadmin, and FTP to upload their website files. If you have not yet, attached the DNS of your web server or web hosting with your domain name brought in the first step. Its time, to do so. Go to your domain registrar control panel or DNS management tool. Enter your nameserver or point the IP records for your domain name and www. It will show up NS records, A Records for the input domain name. And you can also verify the domain name in your web browser, if everything is correct, it will display the website. And you are live on a public domain. You can ask your web developer to help with DNS setup if you do not know how to do yourself. If you are on your own, you have to contact your web hosting service provider, they will provide the nameserver details and IP address of the server. You have to add those details yourself at your domain registrar. Usually, each web hosting provider or domain registrar have help documentations for adding nameserver and setup IP records, you can follow it and get things working. If you are hosting with us, we can help you setup DNS records, provided that you send the login details to your domain name registration company. Your internet marketing project manager will develop the online marketing plan with stratgey, to implement it for a specific period of time. The key performance indicators, output of the marketing campaigns and everything else will depend on the marketing mediums choosen by you and the service provider. If you want to learn more about digital marketing services, please read our Digital Marketing services overview. Digital Marketing is Quiteessential for making your online business or website successful. One should invest well on this marketing medium to enjoy, continued growth and future. Revisions are important, with revisions or new versions, we understand what is working for us and what is not working. It applies to web design, web development, internet and marketing. Most of the small business owners, will work till Step 8, and completely forget or ignore marketing part. You may have the best service or product or goods to provide to the end user or the other business, but if you do not market your catalog of services or products; your business will yeild nothing. Its your responsibility and accountability to understand the importance of marketing to grow your company or organization. Digital Marketing is the most affrodable channel, where the potential to reach new clients, build customer experience and loyality made easy. If you use analytics tracking you can get reports of your marketing performance, and revamp your website and redesign the marketing plans with stronger focus on conversions. If your previous marketing campaigns, failed. There is nothing to worry, you will obviously need to spend considerable amount of money and time on marketing and sometimes, things may not work. That is the reason why, we re-anaylze and restart the campaigns and learning from your data and building more conversions and call to action based adverts. These 10 steps are common for most businesses which are involved in various industries and deal with different types of services and products. Although, digital marketing may do wonders for some niches, it may not fit some types of businesses. In such cases, you can do some basic SEO for your website and skip the rest of the marketing plans and channels. We hope, this article will be helpful, to you and claifies most frequently asked questions related to getting online and building your website or making the site successful. Drop your comments below and let us know, what do you have to say. Thank you.